Navigation users may benefit from GPS modernization sooner than expected thanks to an apparent shift in the schedule of the modernized GPS ground control segment still under development. The change means that full operational implementation of the new signals will come earlier in the delayed modernization of the operational control Segment (OCS). Ground support for the new L5 signal will be made available in Block 1 of the new ground control system as opposed to Block 2, sources have told Inside GNSS. GPS managers also appear to be planning to hold tests of the new L2C and L5 signals this spring to enable receiver manufacturers to give equipment designs a dry run. The L2C and L5 signals are part of long-planned improvements to the GPS program and provide, among other things, greater capability for civilian users. The L2C signal (1227.60 MHz) became available with the Block IIR satellites, of which seven are operational, and is also on board the Block IIF space vehicles (SVs) that also broadcast L5 ((1176 MHz). Three IIFs have been launched and are operating now. Used in conjunction with the current L1 signal, a second GPS signal would provide users with two frequencies and enable faster, more robust, and more reliable service, including improved mitigation of ionospheric effects that decrease the accuracy of signals. Moreover, should interference occur at the L1 frequency (centered at 1575.42 MHz), these additional open signals on separate frequencies will eventually provide a fully redundant backup for user equipment capable of receiving them. However, L2C is currently of most interest to the scientific and professional surveying communities and L5 is seen primarily as a boon to civil aviation. The protected nature of the GPS L5 signal, located in a protected frequency band reserved for aviation safety services, is why the Federal Aviation Administration (FAA) is keenly interested in having it available for its new NextGen air traffic control system. “All we need for NextGen is a healthy constellation of 24 satellites to be sustained, and the addition of the new GPS L5 signal, which is expected to be available on a minimum of 24 satellites by 2019,” an FAA official told Aviation Week in June 2011. But despite the fact that the L2C signal, and more recently the L5 signal, have been broadcast for years from what is now a total of 10 satellites, a broader appeal of multi-frequency GPS to mass-market receiver manufacturers and users has yet to be established. Why? Perhaps because the signals remain empty of a navigation message — essentially, they are dial tones without the information that is needed to utilize them fully. At the center of the issue is the Next Generation Operational Control System, or OCX for short, a challenging but essential element in the modernization of the GPS program. OCX is a complex assemblage of software, control stations, monitoring installations, and testing technology with a new and a much more versatile messaging capability than the current OCS. OCX will be able to manage all but the nine oldest spacecraft still on orbit (Block IIAs), which are not expected to be in service much longer — although if they do continue to be usable and are required to sustain a full constellation, it will present an additional challenge for OCX. Modernizing the control segment is critical to controlling and fully exploiting the capabilities of the new GPS III satellites, which are expected to be available for launch late next year. By most accounts, shifting to OCX is needed to overcome the inadequacies of legacy software that was written in early computer code that is now hard to update and perhaps missing some of its documentation. OCX will also incorporate the very latest techniques for hacker-proofing the system. Software-focused projects are always a challenge, however, as the developers of the GPS Wide Area Aug-mentation System (WAAS) discovered, and the complexity of the OCX system is notable. One expert familiar with the current generation OCS operating system software, the Architecture Evolution Plan or AEP, said developing OCX is nearly an order of magnitude more difficult. Like many large software-centric projects before it, OCX has fallen behind its original schedule. Last year the Air Force formally recognized a shift in the contract’s requirements and modified the contract to reflect the actual technical baseline. Delivery of full OCX capabilities, which had originally been intended to coincide with the launch of the first GPS III satellite in 2014 and more recently expected in 2015, has been pushed back to 2016 or even 2017. A presentation by Kolibaba at the Stanford PNT Symposium in November shows February 2016 as the delivery date for Block 1, which includes L2C and L5 signals, and October 2016 for Block 2, which will be able to implement full capability for the modernized military M-code and L1C signals. Informed observers, however, doubt that even those new milestones can be achieved. The delay in OCX means a delay in the availability of the full L2C and L5 signals because OCX is necessary to automate the creation of those new navigation messages. Without OCX, the reworking of the nav message content for the various signal formats must be done by hand. The experts who spoke to Inside GNSS all agree the messages can be reformatted and loaded manually, but at a cost. Depending on whom you speak to, that cost figure ranges from “minimal” to millions of dollars. Cost is a problematic factor because much if not all of the money is supposed to come from the civil side of the federal government, from which even a few million dollars could be very hard to extract. Despite this situation, a sense of urgency is growing to get the navigation messages turned on, even though not enough satellites are in operation to support full global services on the L2C and L5 frequencies. The United States has to live up to its promise to the international community to make the signals available, several sources insisted. L2C and L5 are also essential, they said, to keeping GPS the “gold standard” for space-based positioning, navigation, and timing. Having the full L2C and L5 navigation messages transmitted would also give receiver manufacturers a chance to test their devices and ensure that they work in a real-world environment. There are some 500,000 sets already out there with L2C and/or L5 capability, estimated one source, built when it appeared that the two signals would be available much earlier. The addition of the signals could also help U.S. manufacturers compete internationally. The European and Chinese are favoring their own manufacturers when it comes to the distribution of signal specifications, said an American expert familiar with the situation, making it harder for U.S. manufacturers to tap those signals as they come on line. But getting the signals turned on is not just about loading the messages. OCX is also the mechanism with which the military plans to monitor the new signals to be sure everything is working properly and can be relied upon. The Air Force has made it clear that it does not want to turn on the signals without the ability to monitor them. Proponents insist that users can be allowed to use the signals – as long as they have been have been sufficiently warned that they are doing so at their own risk. Other experts question that approach, however, saying that it could create liability problems whether users are warned or not. If a beta-version of the signal performed poorly, they argue, it could also undermine the high opinion that most users have about GPS. If monitoring is necessary, say those asking for more of the new signals, there are other ways to do it. 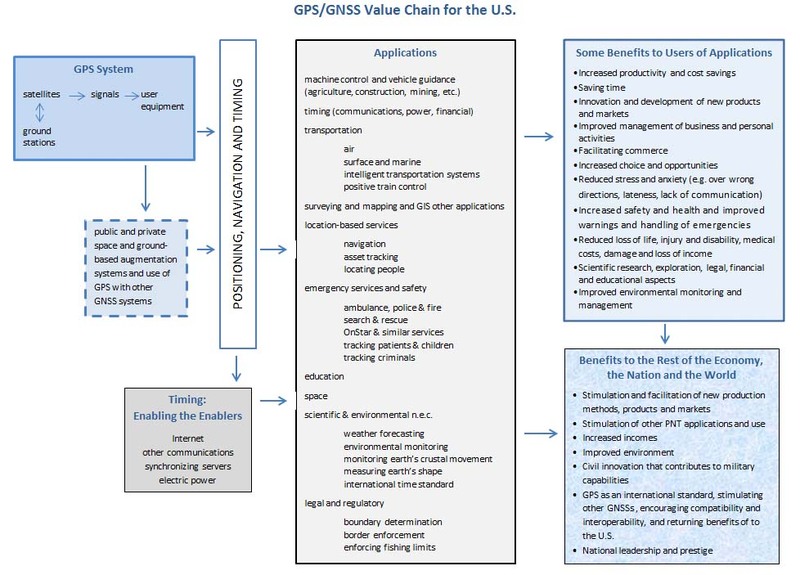 For example, the NASA Jet Propulsion Laboratory already coordinates global monitoring of GPS signals through the International GNSS Service (IGS). Most people who spoke to Inside GNSS praised the work being done by IGS. However, they said, IGS is a cooperative service with some 200 international members, not all of which are within JPL’s control — a source of concern for some government officials. The push to turn on the signals and find alternatives for some functions such as monitoring is fueled not just by frustration with the long wait but concern that further delays will arise. Although the OCX system successfully completed it first exercise last fall — a dry run during which the telemetry, software commanding component, and basic ground infrastructure were linked to spacecraft simulators — history suggests that such a complicated enterprise is apt to run into more snags. At this point the debate about switching on signals largely breaks down — not for a lack of ideas about OCX but for a lack of ideas on how to pay for any changes. The Air Force could certainly volunteer the funds, but money for messages and/or monitoring the civil signals — in fact, money for any new civil GPS requirements — is supposed to come from the FAA. That agency was tapped by the Department of Transportation (DoT) to handle the funding responsibilities inherent in DoT’s role as the representative for the GPS civil community within the federal government. DoT is supposed to coordinate, advocate for, and be the conduit for funds for all civil GPS needs. This would have been a challenge under any circumstances but, unfortunately, the additional budget promised for this job never appeared and, as previously reported by Inside GNSS, the FAA has been grudgingly tapping its own accounts to pay the civil contribution to the GPS system. This makes the schedule shift particularly interesting. The FAA gets limited benefit from the L2C signal and is far most interested in L5, because the latter signal is in a protected aviation band and L2C is not. Moving ground support of L5 forward in the schedule could help boost the FAA’s financial enthusiasm for OCX. OCX follows a commercial development model and is to be delivered in incremental blocks. Each block, and each iteration or step within a block, adds capability and an opportunity to incorporate changes. The OCX program is now on Iteration 1.5 within Block 1; the system is to be operational at Iteration 1.7 – which is scheduled for implementation in February 2016. The Air Force had already planned to incorporate support for the L2C signal in Block 1 but, according to several presentations on the OCX development schedule and the gps.gov website, support for L5 was not to be provided until Block 2. In the Stanford PNT presentation Kolibaba confirmed that L5 has been moved up to Block 1. How this relates to either the monitoring or the messaging remains unclear. Though several independent sources told Inside GNSS that the current plan is to support L5 in Iteration 1.7, the sources did not fully agree on the nature of that support. One source said all the civil capabilities would be supported in Block 1 while others suggested not all the aspects needed for L5 support would be in place. That would seem to be the definitive answer, except that the contract for OCX is still in flux and, as of press time, the Air Force appeared poised to make some changes. Inside GNSS has confirmed that, as of early November, the contract the Air Force has with Raytheon for the OCX program had a surprising omission: it did not include all of the civil requirements. “The full implementation of the civil signal requirements are not in the OCX contract,” Raytheon acknowledged in an emailed statement at the time. Those requirements had not been fully worked through at the time the initial contract was signed, a separate source explained, and they needed to be added. DoT officials declined to comment about this issue. The Air Force’s Space and Missile Center was not able to respond by press time. Work on incorporating the civil requirements, however, appears to be under way. Kolibaba told Inside GNSS in an interview in October that Raytheon had completed a study for the Department of Transportation of some alternatives for the civil signals. Conversations with some dozen sources suggest that a decision on how to proceed may be close at hand. One thing that appears to be decided is that the Air Force will indeed conduct a test of the L2C and L5 signals, possibly in April. The test, according to a well-placed source, will enable manufacturers to try out their equipment over a number of weeks, but the signals will not be permanently turned on just yet. Whatever the plan for OCX and switching on full new signals, it will depend on consistent funding. Unfortunately, one of the few things about which Congress has been consistent lately is the depth of its cuts to the civil GPS monies. Although funding for the military GPS program has held fairly steady — and appears to continue to be a high congressional priority — civil funding requests have been getting slashed by half or more. In Fiscal Year 2011, Congress cut monies for the FAA Facilities and Equipment budget, resulting in the civil GPS program receiving only $38.423 million out of its requested $58.5 million. In 2012 Congress slashed the $50 million request by more than half, granting a final allocation of just $19 million. This year both the House and Senate took an axe to the $40 million request — the House agreed to $15 million while the Senate said $19 million. Fortunately Congress has yet to pass its appropriations bills — so, the civil GPS money stands at the 2012 level for now, that is, $19 million. That could change as soon as the Republicans and Democrats work out a deal, which they must, because the continuing resolution that is keeping the government open will soon expire. And, of course, budget reductions will occur under Congress’s “sequestration” plan unless a deal is struck to moderate the across-the-board cuts that nearly every program faces if the automatic cuts mandated by sequestration go into effect. But the threats to funding don’t end there. Marsha Blackburn, a Republican congresswoman from Tennessee, has introduced four bills to rescind 1 to 15 percent of the money allocated for fiscal years 2013 and 2014 from non-defense budgets. The impact of such a move on OCX is far from clear — but Air Force officials have made clear that it could force them to scale back their work.